Brushlian’s history dates back to the 17th century when its first residents settled in the mountain valley and called their village Surmashik. Since 1982, the village is an architecture and history preserve. Of its houses, 76 have been named monuments of culture. The oldest house that is still inhabited dates back to the 17th century. As it is a monument of culture, owners are not allowed to change the style of their houses, which makes the village so unique. Despite all the changes and developments over the centuries, this place stays untouched. Even my family’s house has hardly changed since my grand-granddad built it over 100 years ago. One of Brushlian’s landmarks is the Church St. Dimitur. It was constructed in the end of the 17th century over a Thracian sanctuary. In 1975, the Church was named a monument of culture of national importance. Its height is quite unique, as during the Ottoman Empire, Bulgarians were allowed to build churches only if they were no higher than a Turk on his horse. 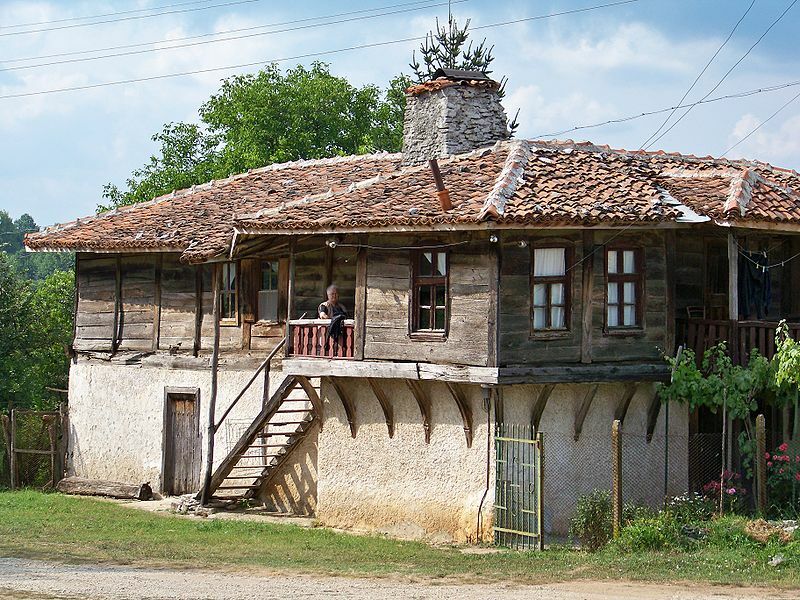 There is also an ethnographic museum, which is situated in a 150-year old house preserved in its authentic state. The ground floor hosts the ethnographic exhibition, where visitors can explore tools and can try using them. The picture below is from the ‘museum’ wall in my grandma’s house. The population of the village is 67 people, of which less than 10 live there throughout the winter. Imagine how peaceful this place is. The biggest pollution in the area comes from the cars entering it. For me, living in a city with 9 million population, the life in Brushlian looks unreal. I always feel great after spending few days there, as it is my escape from the dynamic life in which we operate nowadays. Each visit gives me the change to reunite with the nature, to find peace with my inner self and relax completely. I believe each person should have a place in which he can escape from the busy everyday life, the constant use of computers, cell phones and internet, and find peace with himself and the nature. Returning to the ‘simple way of life’ gives you the opportunity to realize who you really are, what is really important for you and what makes you truly happy. Think about it.. When was the last time you spend an entire day surrounded by the nature and in no use of any technology?